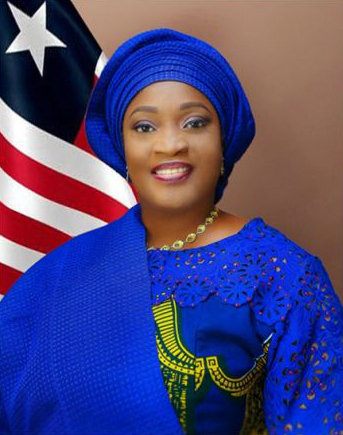 Monrovia-Liberia - Liberia’s Vice President, Chief Dr Jewel Howard-Taylor, says investing in Family Planning with the aim of reaping demographic dividends is critical to the provision of opportunities to the youthful population. VP Howard-Taylor said family planning must be a part of a bigger picture to ensure that the 60% of the country’s youthful population is enabled to access and exploit opportunities at all levels. She noted that effecting such actions would also ensure productive members of society thereby constituting a prepared labor force with the appetite for saving, investing, and serving as the engine for economic growth and development. The Vice President stressed that if this must be done, the decisions that need to be taken can be taken through an understanding of the need for family planning which according to her, will accelerate the possibilities of achieving demographic dividends. VP Howard-Taylor was speaking Tuesday, September 25, 2018, when she delivered the keynote address at the Launchof the National Family Planning Costed Implementation Plan held at the Monrovia City Hall. VP Howard-Taylor opined that the cost of this National Plan being discussed will reduce maternal mortality, avert unwanted pregnancies and reduce abortions amongst others. 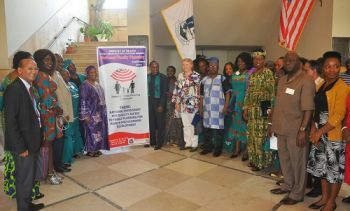 In remarks, the Chief Medical Officer of Liberia, Dr. Francis Kateh, said the Costed Implementation Plan and Family Planning Strategy were crucial to the overall development and delivery of family planning services to the population. According to Deputy Minister Kateh, the Ministry of Health with support from the Government and partners are closely collaborating to ensure adequate investment and increase public sensitization on family planning services across the country. He noted that the importance of family planning in reducing maternal mortality and improving adolescent health emphasized in the Ministry’s national health services program throughout the country. Dr. Kateh intimated that the strategy captures several implementation stages including increasing demand for family planning through integrated community based services, reaching adolescent girls and young women with quality family planning services, gender based violence, child marriage and family planning advocacy and services and expansion of family planning services through community based distribution of commodities.